Go healthy. That’s what I’ve been telling myself lately. At least until Halloween anyway. After Halloween I can start packing on sweaters and long pants, right? Preheat that oven to 400. On one plate, put some flour, in a bowl set aside the egg whites, and on another plate put the bread crumbs. 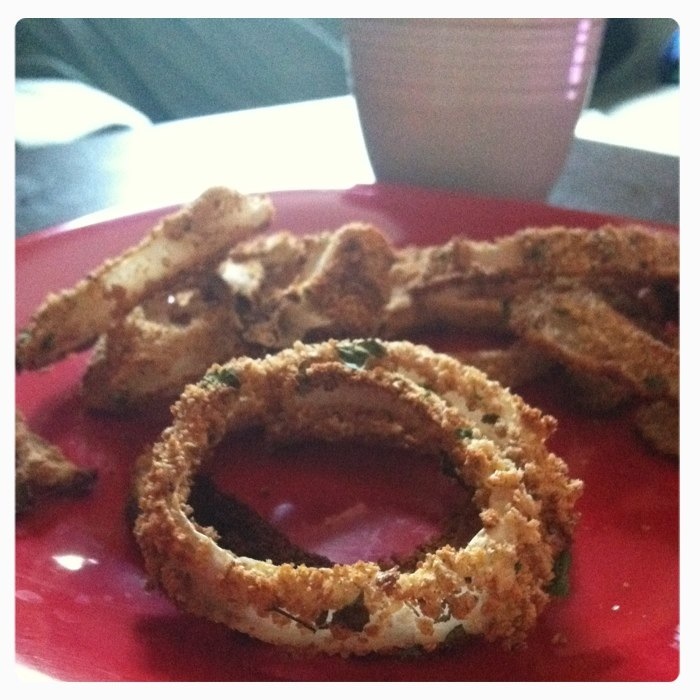 I put garlic powder and cayenne pepper in the crumbs to give it more kick. You can put it to your liking, but I like to be able to see the cayenne, give it heat. 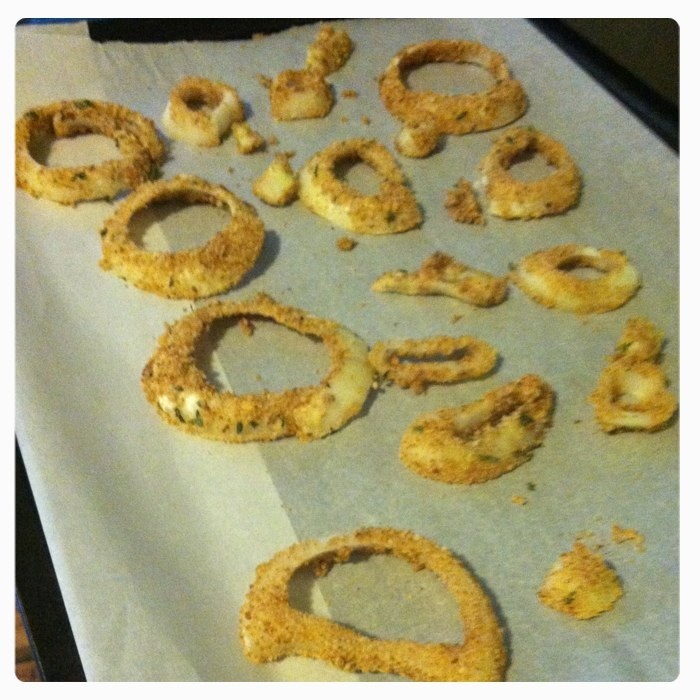 Flour the sliced onion rings, dip into egg whites, then bread in the crumbs. Place on a cookie sheet, I put some parchment paper down so I wouldn’t have to scrub the cookie sheet. Bake for 20 minutes, or until crispy. These were so good! and super easy.